Robert Hegyes' character was always bringing in notes signed "Epstein's mother." 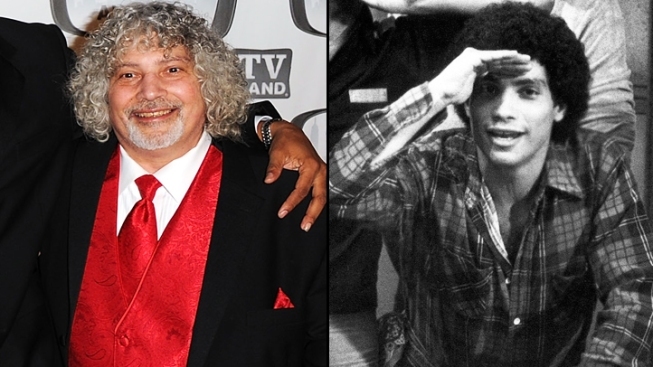 Robert Hegyes, who played Juan Luis Pedro Philippo DeHuevos Epstein on 1970s hit "Welcome Back, Kotter," has died at 60. Hegyes, who played one of the lead "Sweathogs" in teacher Gabriel Kaplan's class, was known for his Puerto Rican-Jewish character who was always trying to skip class with notes signed, "Epstein's mother." The show, which also starred a young John Travolta, ran on ABC from 1975-79, and had high school kids around the nation taunting one another with lines like, "Up your nose with a rubber hose." Hegyes, who lived in Metuchen, N.J., died at JFK Medical Center, in Edison, after being taken there in full cardiac arrest, according to the Star-Ledger. Although Hegyes had sporadic work in television and movies, his signature role was the one he landed at age 24. On "Kotter," the kindly, yet sardonic Kaplan tried to impart life lessons on a group of well-meaning but hopeless students at his old high school, the fictional James Buchanan High School in Brooklyn. The school was based on the borough's New Utrecht High School, which was Kaplan's alma mater in real life. The show would always close with Kaplan snuggling with his wife, played by Marcia Strassman, and telling her a story involving his uncle. In addition to Epstein, and Travolta's Vinnie Barbarino, memorable Sweathogs included Freddie "Boom Boom" Washington, played by Lawrence Hilton-Jacobs, and Arnold Horshack, the nerd who was always eager to impress his teacher, played by Ronald Palillo. Recently, he was seen in the award-winning Volkswagen Passat commercial known as "The Chase."